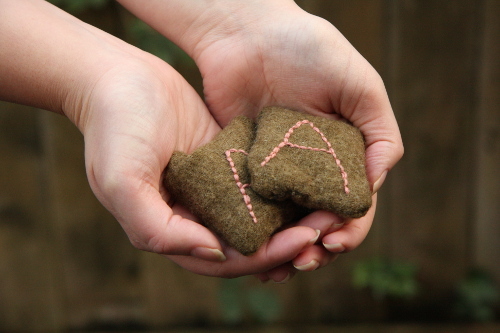 I used a sweater that I had accidentally let run through the dryer to create these hand warmers. If your sweater hasn’t been shrunken or was bought, send it through a warm cycle on your washing machine followed by a dry. 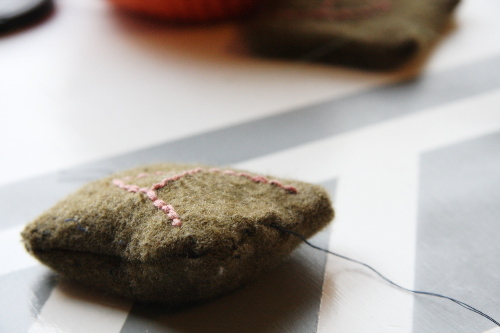 It doesn’t have to be completely felted, but you do want the weave to be tighter. 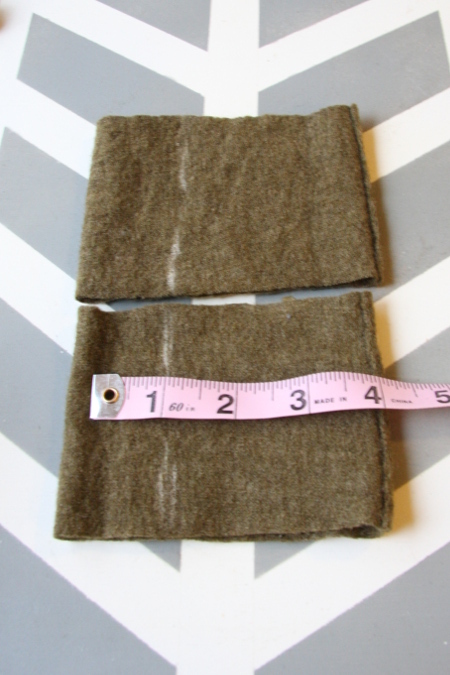 Pull out a sleeve of your sweater and measure and mark 3 1/2 inch squares. Cut along the lines to create 2 rectangles to use. If you plan on making a bunch, you can always use other parts of the sweater, it’ll just require a little bit more sewing or measuring in the end. Take your rectangles and measure another 3 1/4 inches from the sides. 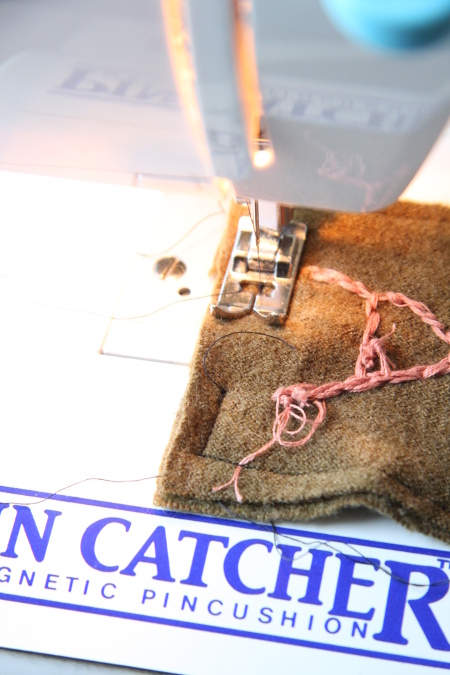 Leave the original seam from the sleeve in tact. Cut along the lines. You’ll now have a tall rectangle to work with. 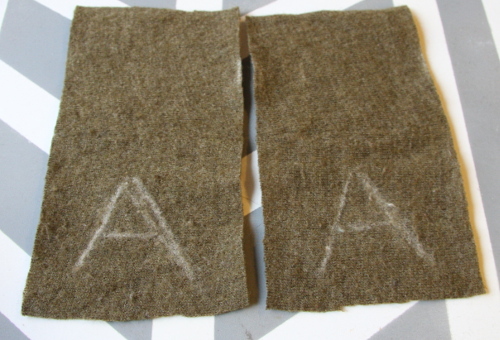 Make sure the right side is facing you and draw the letter you hope to embroider onto each piece. 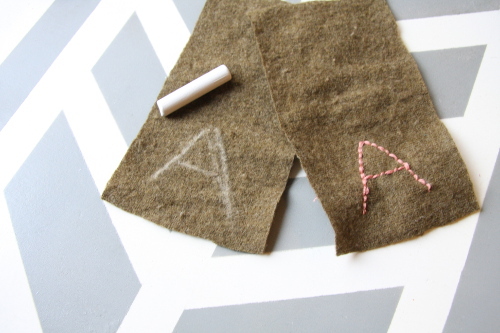 Use whatever embroidery stitch you choose to create your monogram. I back stitched, but if I had a small enough embroidery hoop (3 inches would have been perfect), I would have loved to create a pretty rope stitch or something along those lines. 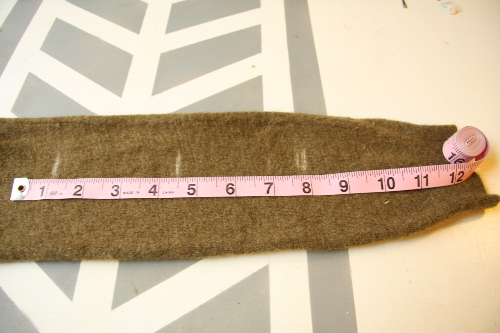 Fold the fabric in half along the seam inside out and stitch both sides, leaving a 1/4 inch seam allowance. When you get to the bottom, stitch with your seam allowance, but leave a piece in the center, between 1/2 inch and 1 inch, unstitched. Flip your hand warmer right side out, making sure to stick your finger into each corner. 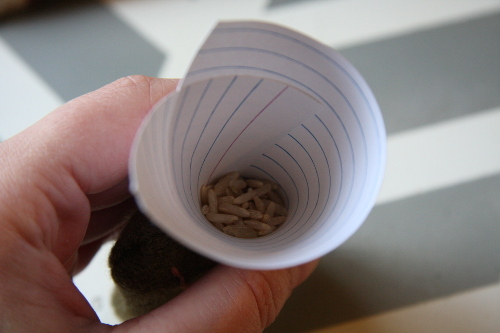 Make a funnel from an index card or scrap paper and some tape, and stick it into the hole in the center. Pour the rice into the funnel and fill up your warmer. Once it’s full, close it up with an invisible stitch and repeat with your second hand warmer. To heat up, put your warmers in the microwave for between 30 to 60 seconds until they’re hot, but not so hot they burn. Keep them in your pockets for chilly winter walks or outdoor events and have toasty warm hands! 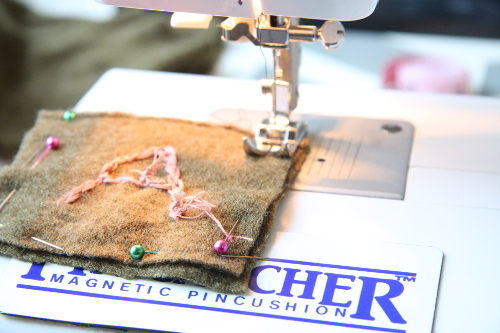 Love the idea, but don’t want to sew? 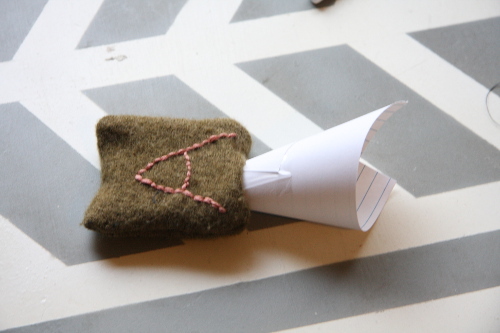 Check out Stephanie’s No-Sew Hand Warmers for an even easier way to keep warm this winter! Such a darling idea! Nice post! 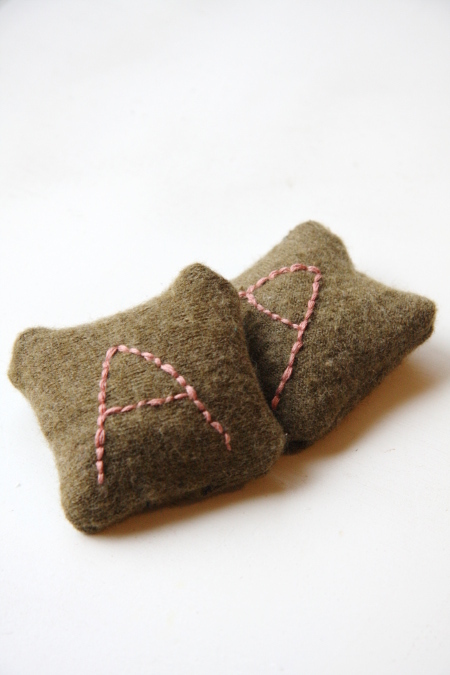 Pingback: Upcycled Monogram Hand Warmers | Addicted 2 Fun: Interesting Pictures, Inspiration , Quotes & Content that Matters!